This is one of the many projects completed with Ionix. 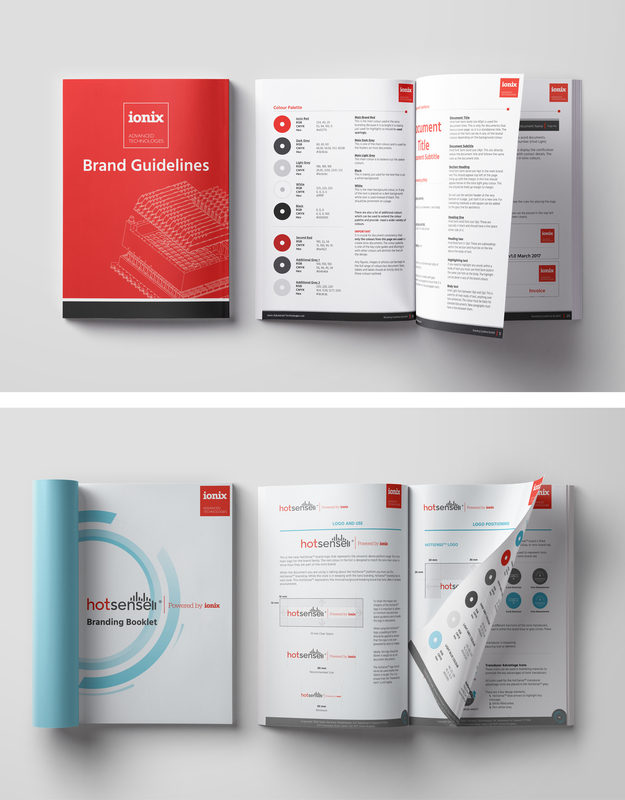 It involved redesigning their branding for both Ionix and HotSense product range. 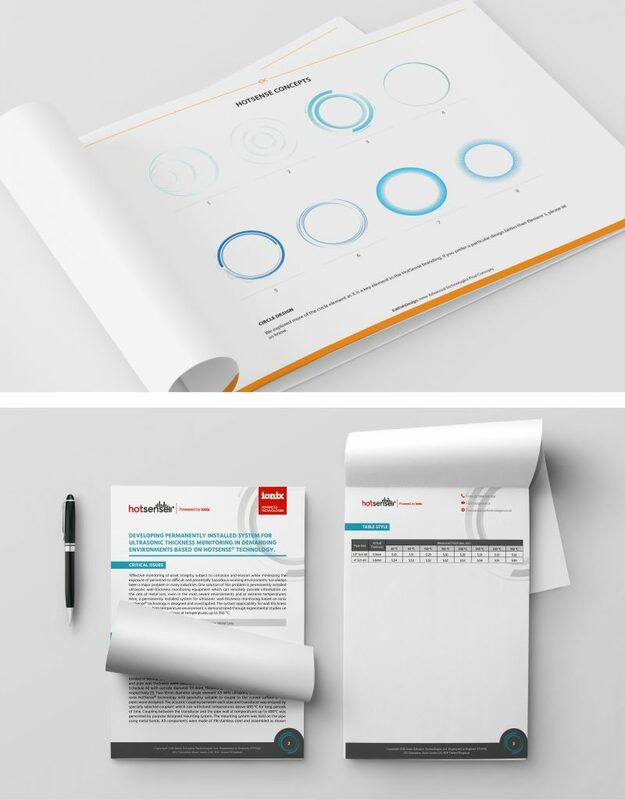 The company wanted to update their brand style, and develop an individual brand for their product range HotSense, that was a sub brand of their original style. Additionally, they wanted this implemented across the whole company; from internal stationary and letterheads to external marketing materials. 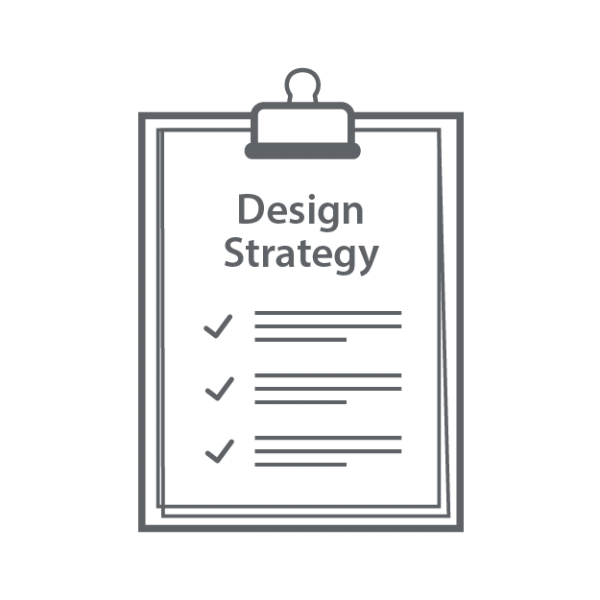 We further offered to create some brand guideline booklets, as they provide a blueprint for the style – allowing it to be replicated easily in the future. The company has been growing for 6 years, and are at a point of reforming their brand and style to coincide with their new product range HotSense. First, we had a meeting with all essential stakeholders. The team reviewed their existing branding, noting elements they liked and disliked. They were also asked to consider the key message and image they wanted to convey. Taking their feedback on board, we explored different design directions ranging from incremental changes of the existing logo to generating entirely new logo concepts. 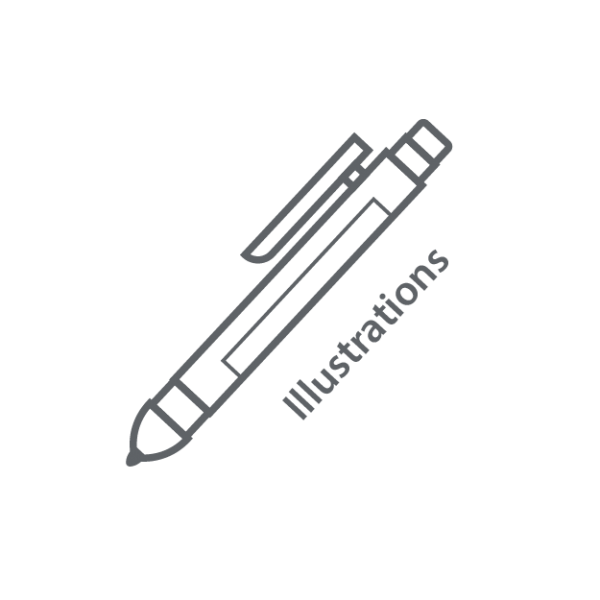 Once the 2 logos were finalised, we explored how the logos would be incorporated into the company stationary. Additional design elements were considered to elevate the design. 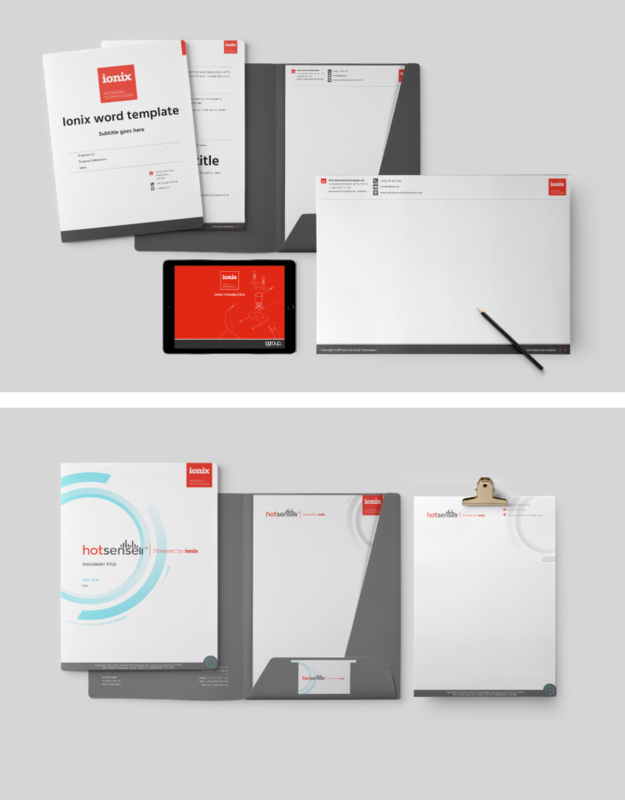 Once the style for each brand was finalised, we updated the 5 existing documents for each brand. 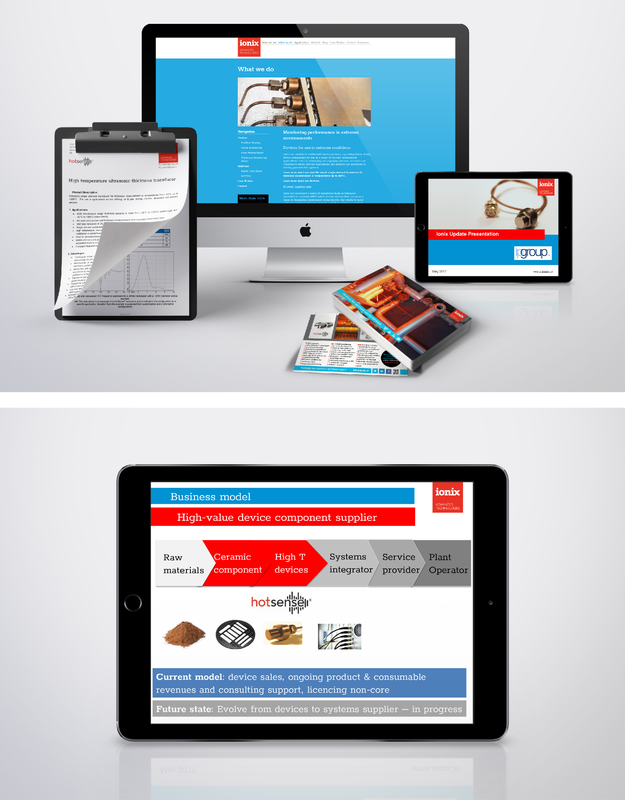 We also created templates for their typical documents, including PowerPoint presentations, word documents and datasheets. 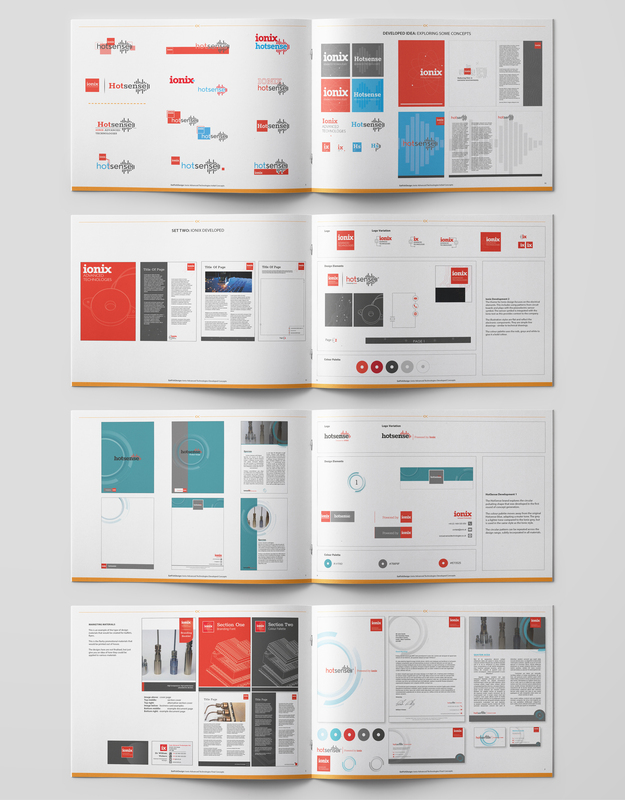 Brand guidelines were created defining how each brand should be used, and how the client should implement the brand in future marketing materials. 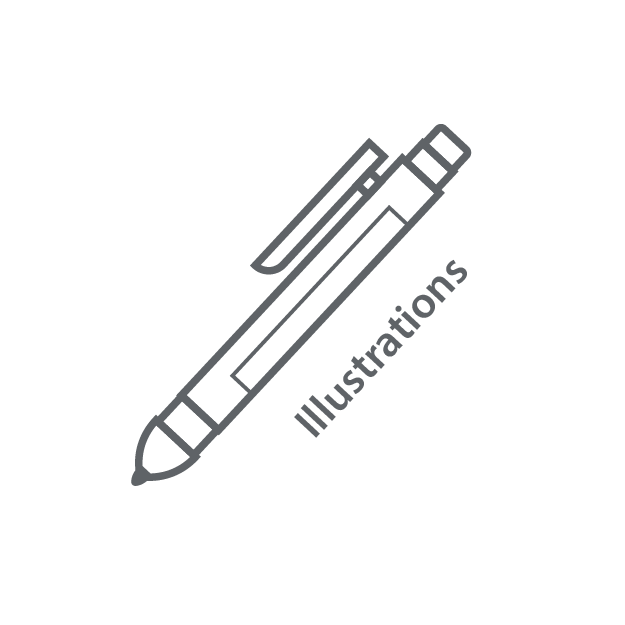 We rebranded the company image and product range, separating out the brands. 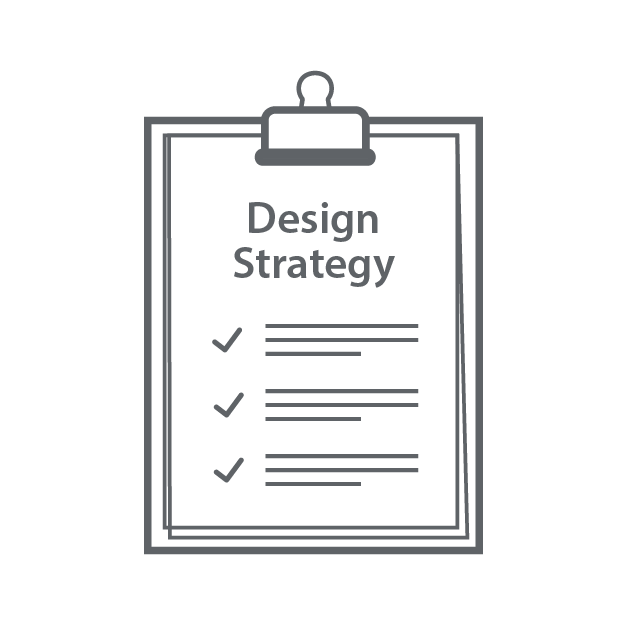 We developed individual visual identities that represented key messages for each. The brands were designed harmoniously, complimenting each other well. The Ionix brand was considered the prestigious and mature brand to HotSense’s energetic and extreme environment brand. We kept the red branding identity, taking out the bright blue entirely, instead complimenting the red with dark greys and white. We transformed an image of a ceramic microstructure into a texture that can be applied across all their promotional materials. This subtle pattern represents the research and history of Ionix, who engineered their own piezo from a unique material composition found in all their products. The main material of this composition is ceramic. With the HotSense brand, we focused more time on developing the logo to get a cleaner image. The original logo incorporated an ultrasonic wave from one of their tests. This element made the design busy, so we removed half of it, keeping enough of the shape to convey the same message. We explored the idea of using a “pulse” to reflect HotSense’s technology which was modified for page numbers in document stationary. The blue from the original brand was separated out and became a highlight colour in this brand, used to emphasis points and highlight in images. The client was pleased with the work. The branding is being implemented across the company from invoicing, transducer datasheets, to proposals for potential partners and investors.